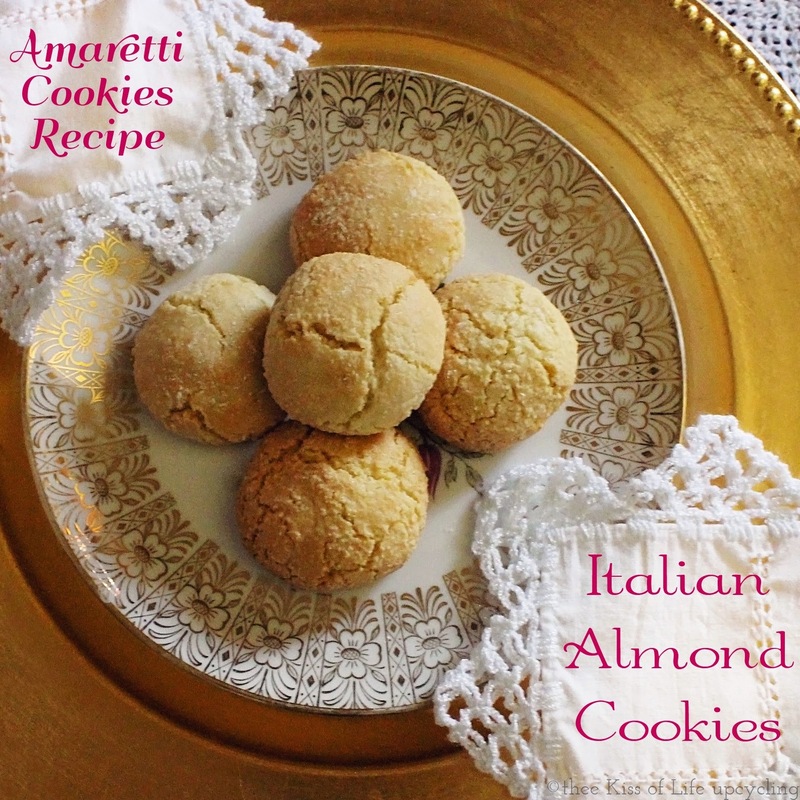 Amaretti means Italian almond-flavored cookies. 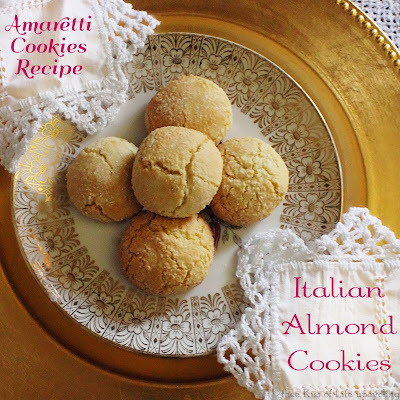 Amaretti di Saronno refer to an amaretto macaron that is traditional to Saronno, a comune of Lombardy, Italy. These cookies fall into the same family as French macarons and macaroons. So if you like those and just love almonds, give this recipe a try. I used this soft (morbidi) amaretti cookie recipe by Love and Olive Oil but I think my cookies came out looking more like this not so soft looking amaretti di saronno cookie recipe by Garrett McCord. Either way, they are delicious little morsels of rich almond flavor. The original recipe is in grams so I converted it to cups. In a bowl, whisk egg whites with a pinch of salt until they are foamy and fall into soft mounds (not quite soft peaks). Whisk in almond extract. Add to bowl with dry ingredients and stir until it comes together to form a sticky dough. Lightly dust your hands with powdered sugar, scoop out pieces of dough and roll into 1-inch balls. Place on parchment or silicon-lined baking sheets, leaving 1 inch of space between cookies. If you prefer a chewier cookie, just under bake them a little bit. I think my oven heats up more than you set it to so my cookies came out cracked, like they should though, on the outside but still very soft inside. Luckily I caught them before they really browned or worse, burnt.